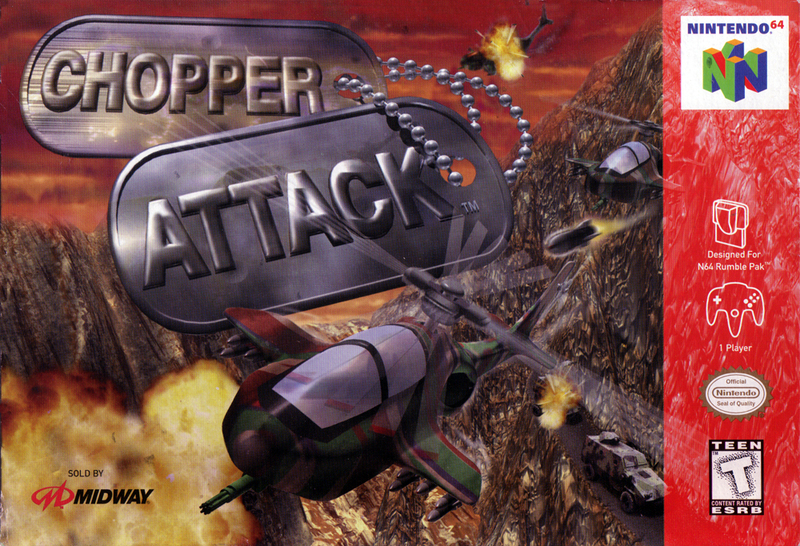 Краткое описание: Chopper Attack is a helicopter-based third-person shooter game released and published in 1997 by Midway. 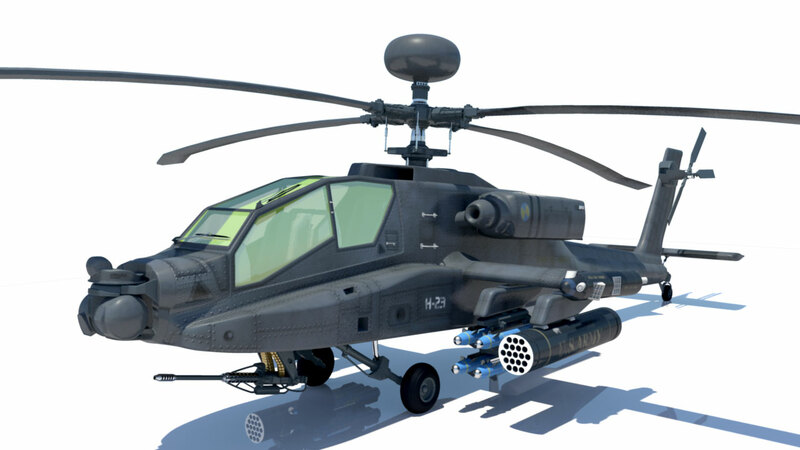 The game features numerous missions in various locations; missions include bombing the enemy's bases, escorting Air Force One through dangerous jungle terrain and rescuing prisoners of war. 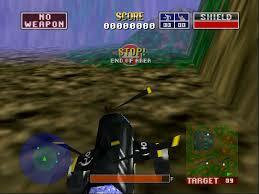 Chopper Attack is a helicopter-based third-person shooter game released and published in 1997 by Midway. 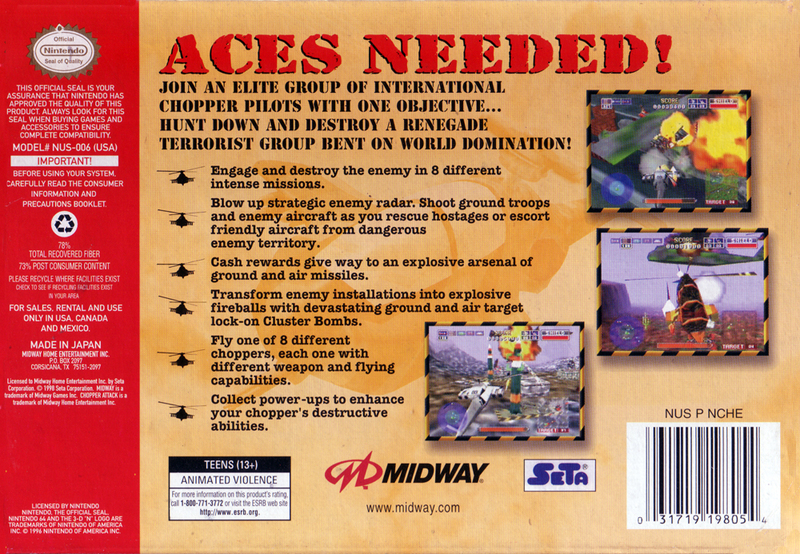 The game features numerous missions in various locations; missions include bombing the enemy's bases, escorting Air Force One through dangerous jungle terrain and rescuing prisoners of war.